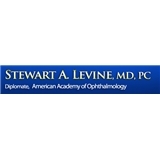 Stewart Levine (Bayside) - Book Appointment Online! The mission of our practice is to provide outstanding personal service and patient satisfaction as well as technical excellence in a warm, pleasant, patient-friendly office setting. Visit our website: www.eyesmd.net Dr. Levine personally performs each step of every examination and treatment, and customizes every procedure to best suit the needs and expectations of his patients. Short wait time. Pleasant staff and Dr Levine was great with my 3 year old. She even left saying how much she liked seeing the doctor!